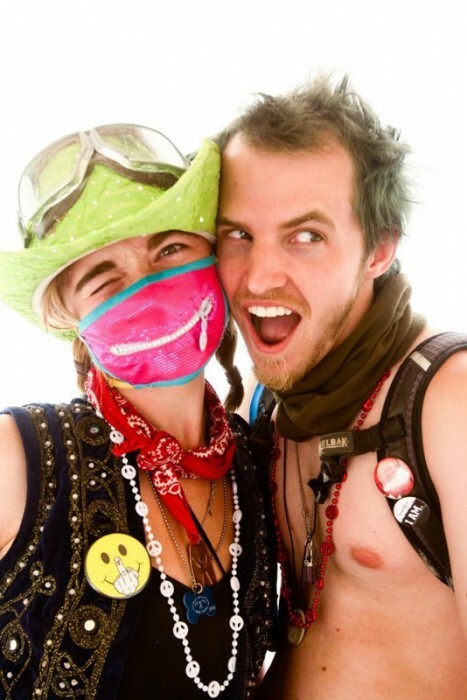 The latest edition of the Burning Man newsletter JackRabbit Speaks features a link to the Black Rock City Yearbook, and the first picture I happened to open is of a lady wearing one my masks! It’s good to know that at least one of them is being used for its intended purpose. I actually made costume pieces for some Yearbook members, and also spotted a few familiar faces in the 1,000 photos (out of 50,000 attendees!). There are lots more Yearbook photos to see, and who knows what you’ll recognize!